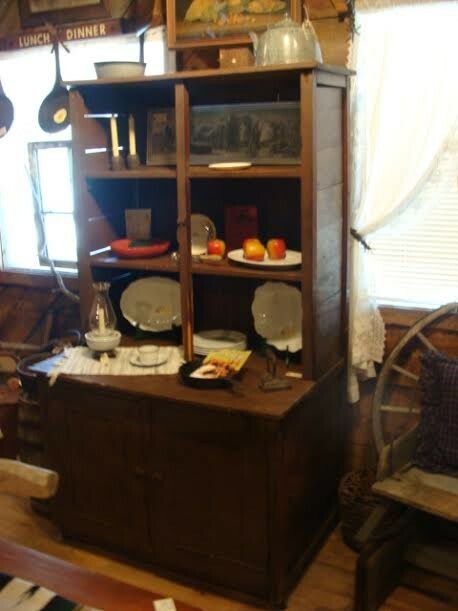 This is a genuine Old West Montana General Store 19th Century Display Cupboard with 2 Shelves and two doors cabinet below. This is a genuine Old West Montana General Store 19th Century Display Cupboard with 2 Shelves and two doors cabinet below. Wheels added. Please email cowboycabin@centurytel.net with questions or call 406 270-2842.